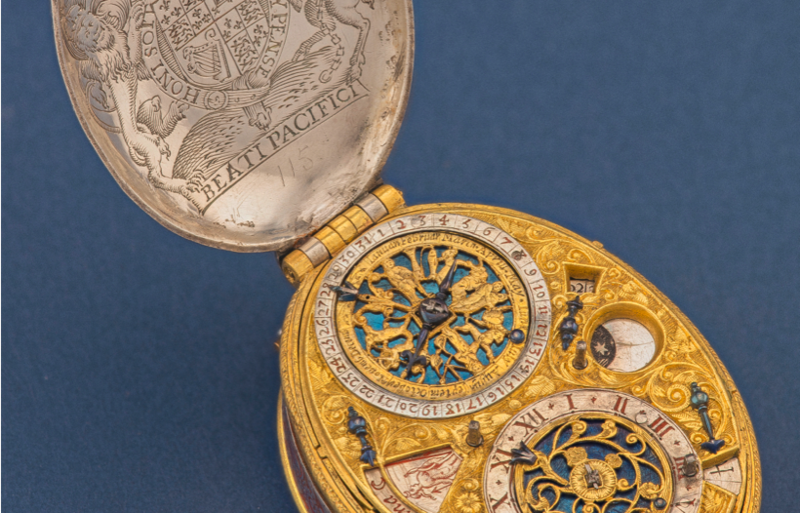 Our recent Collector’s World feature showcasing the ‘jewel in his collection’, David Ramsay’s magnificent silver and gilt-metal oval astronomical verge watch, reputedly commissioned by King James I, inspired us to research ‘Watches with Royal Connections’. To be designated a ‘Royal Watchmaker’ was the highest accolade one could achieve in the horological world, dating back to the 1500s, with the first recorded being Julien Coudrey (Coudray? 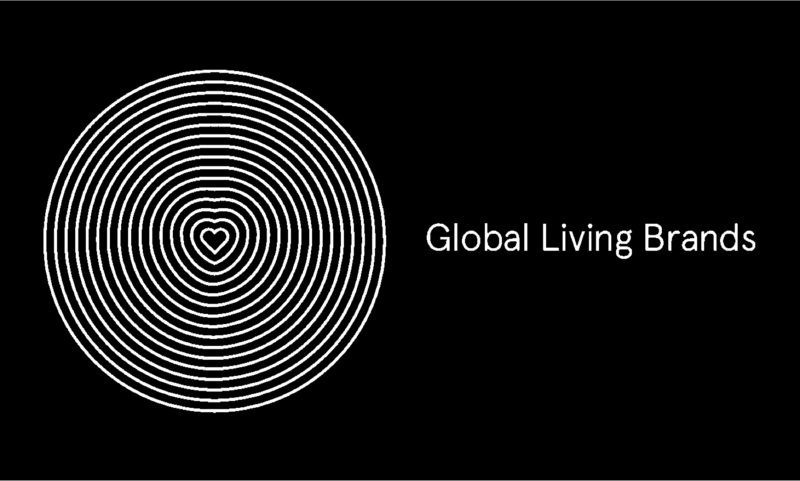 ), as the ‘royal watchmaker of Louis XI of France and Francis I of France’. Specially commissioned ‘Royal Watches’ (either by or for Royalty) are some of the most sought after and rightly so, as Royal provenance means that the timepiece would be of the highest possible quality. 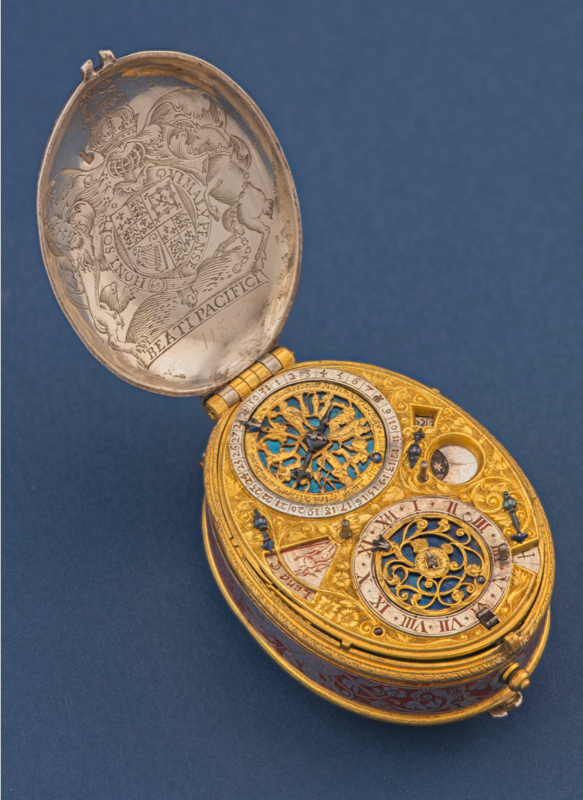 Indeed, in the 1570s, during a decade of heightened interest in the Queen’s age as she approached menopause, Elizabeth began receiving a new kind of gift: ornamental timepieces intended to be worn on her body. In 1571, the Earl of Leicester gave her ‘one armlet or shakell of golde, all over fairely garnished with rubyes and dyamondes, haveing in the closing thereof a clocke’, perhaps the first example of a ‘wristwatch’. Sadly no images survive, but one can just imagine how exquisite this must have looked. 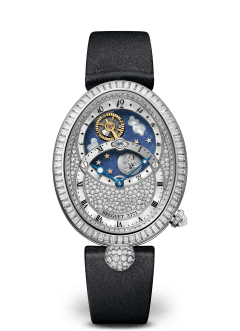 However, it was in response to a commission from the Queen of Naples in June 8th 1810, that Abraham-Louis Breguet conceived and made the first wristwatch ever known, the Breguet watch number 2639. With the acquisition of thirty-four clocks and watches from 1808 up to 1814, the very beautiful Queen of Naples easily took pride of place among Breguet’s best clients. Another fine example, is the ‘Lever Escapement’ watch made by Thomas Mudge in 1770 for Queen Charlotte, commissioned by King George III. Although, Mudge invented the lever escapement in 1754, this wonderful unique timepiece incorporates the earliest known example of the lever escapement. 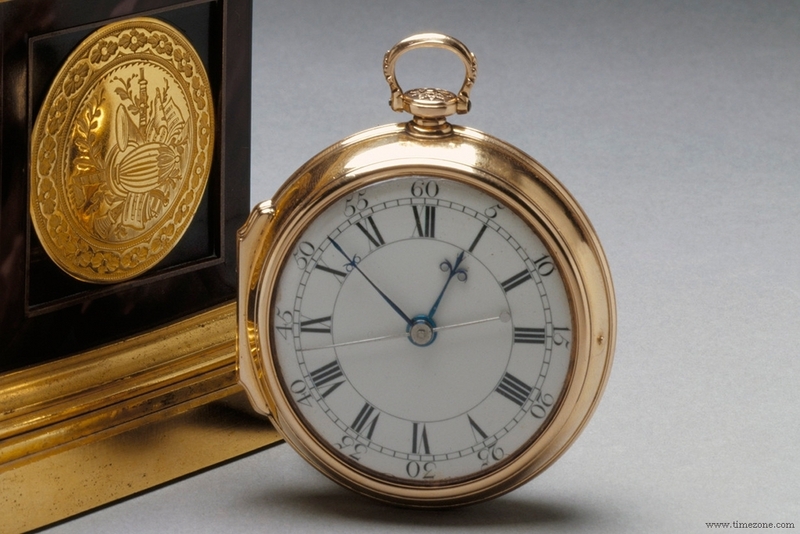 It has also been described as ‘perhaps the most historically important watch in the world’. With the exception of the balance spring, this was the greatest single improvement that has ever been applied to watches. 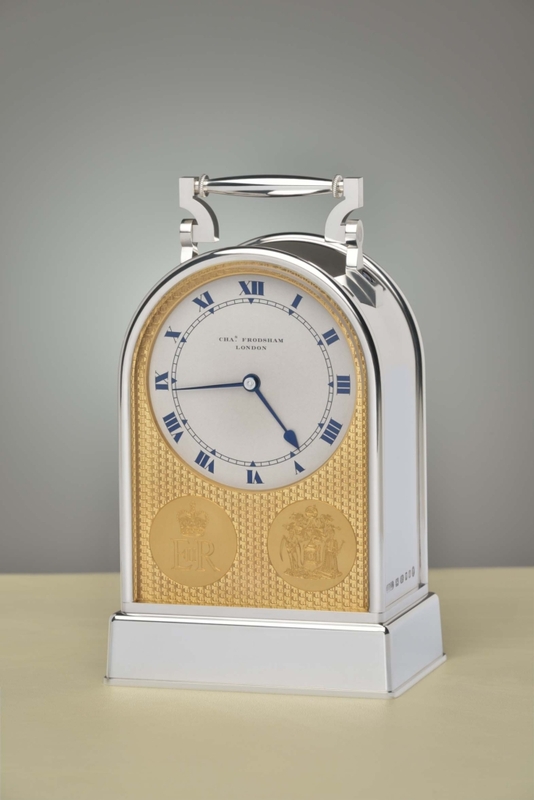 More recently, in 2012, the Worshipful Company of Clockmakers, commissioned Charles Frodsham & Co, who still hold a Royal Warrant, to build a unique timepiece to mark the Queen’s Diamond Jubilee. 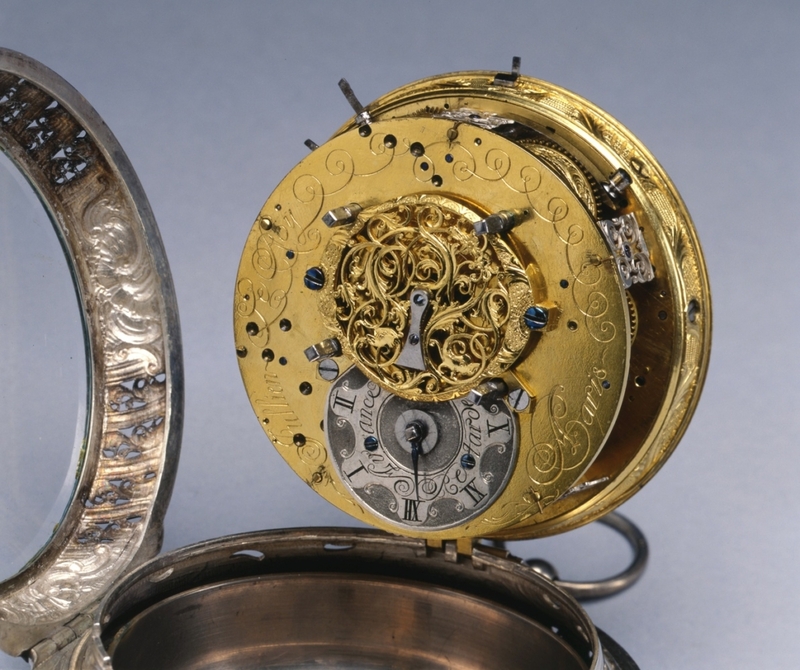 The silver portable clock has a traditional English fusee mechanism and the English lever escapement platform – invented by Thomas Mudge in 1754. Will this be the last significant Royal commission?